Steve Dykes / Getty ImagesPaul Allen. Paul Allen, the billionaire cofounder of Microsoft, has died at 65 after a battle with non-Hodgkin lymphoma. Allen, a philanthropist, owned the Seattle Seahawks and the Portland Trail Blazers. Allen officially left his day-to-day role at Microsoft in 1983 but stayed on the board till 2000. 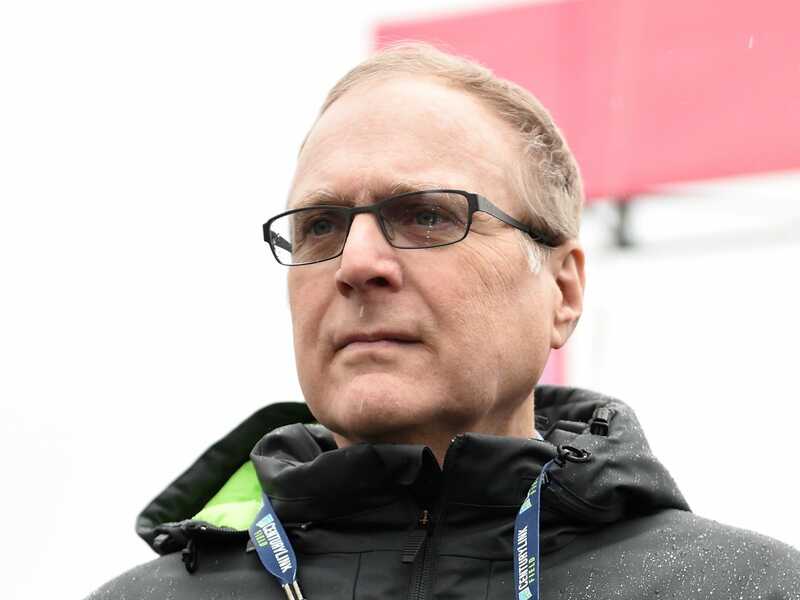 Paul Allen, who cofounded Microsoft with Bill Gates, died Monday afternoon after a battle with non-Hodgkin lymphoma, his family confirmed to Business Insider. He was 65. Allen, a tech titan, was a philanthropist who owned the Seattle Seahawks and the Portland Trail Blazers. He operated Vulcan Ventures, a venture-capital fund. Allen first learned he had the cancer in 2009, and he disclosed earlier this month that it had returned after a period of remission. At the time, Allen said he planned on staying involved with his various business ventures. It was the third time Allen has received a diagnosis of some form of lymphoma. He survived Hodgkin lymphoma in the 1980s. Allen, a Seattle native, and Gates were childhood friends. In 1972, while in high school, the pair launched Traf-o-Data, a software company that tracked and analysed traffic patterns. When Gates went to Harvard, Allen stayed local and went to Washington State University, though he ended up dropping out. It was Allen who suggested that the two work together to make a Basic language interpreter for the then cutting-edge Altair 8800 microcomputer, which became Microsoft’s first product. The name “Micro-Soft” for their joint venture was Allen’s idea. Matt Weinberger/Business InsiderThis photo of Paul Allen and Bill Gates is on display in the Microsoft Visitor Center at its Redmond, Washington, headquarters. 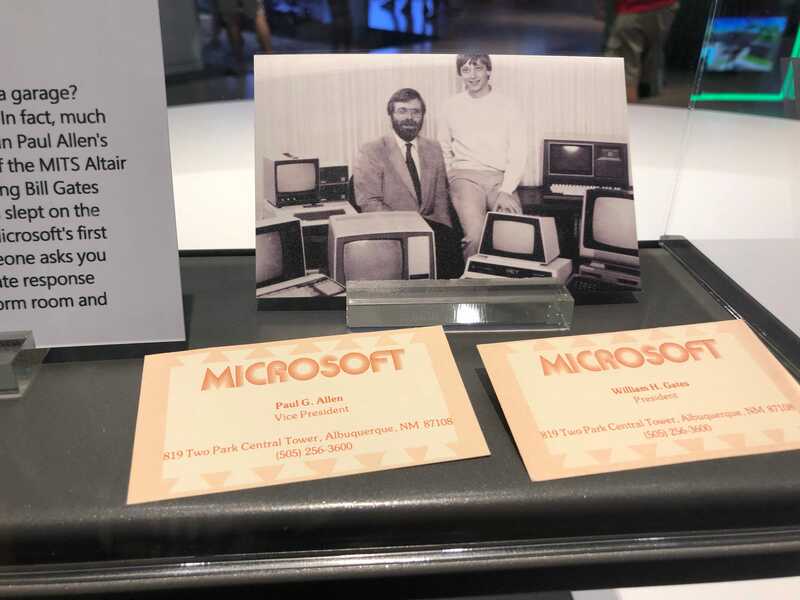 Below the photos are Gates’ and Allen’s first Microsoft business cards, circa 1975. Further, Allen was responsible for the key deal that made Microsoft a major player in the PC revolution: When Gates promised IBM in 1980 that Microsoft would supply an operating system for its flagship PC, it was Allen who went and purchased the rights to the “Quick and Dirty Operating System,” or QDOS, from the developer Tim Paterson. Microsoft rebranded QDOS as MS-DOS, or the Microsoft Disk Operating System, and supplied it to IBM per the deal. In 1983, Allen stepped aside from day-to-day operations at Microsoft, not long after beginning treatment for his first diagnosis of Hodgkin lymphoma. He remained on the company’s board of directors until 2000. Allen would later write that his departure was marked by a period of friction with Gates in which they disagreed over the direction of the company. Allen said that Gates tried to buy out his shares in the company but that he ultimately decided to hang on to his stake – which made Allen his fortune when Microsoft went public in 1986. Allen was also known as a musician. As a guitarist, he fronted a band called The Underthinkers, and he wrote or cowrote every song on the band’s 2013 album. He also founded Seattle’s Experience Music Project, or EMP, which was originally a museum devoted to his hero Jimi Hendrix. Allen also started the Science Fiction Museum and Hall of Fame, in the same building as the EMP. The two have since been combined into the Museum of Pop Culture. Allen’s net worth was pegged at $US20 billion. Lymphomas are cancers that attack the lymphatic system. Non-Hodgkin lymphoma is more common than Hodgkin lymphoma. “All of us who had the honour of working with Paul feel inexpressible loss today. He possessed a remarkable intellect and a passion to solve some of the world’s most difficult problems, with the conviction that creative thinking and new approaches could make profound and lasting impact. “Paul’s life was diverse and lived with gusto. It reflected his myriad interests in technology, music and the arts, biosciences and artificial intelligence, conservation and in the power of shared experience – in a stadium or a neighbourhood – to transform individual lives and whole communities. “Paul loved Seattle and the Pacific Northwest. The impact of Paul’s efforts can be seen here at every turn. But the true impact of his vision and generosity is evident around the globe. “Paul thoughtfully addressed how the many institutions he founded and supported would continue after he was no longer able to lead them. This isn’t the time to deal in those specifics as we focus on Paul’s family. We will continue to work on furthering Paul’s mission and the projects he entrusted to us. There are no changes imminent for Vulcan, the teams, the research institutes or museums.